As the saying goes... "It takes a village." Lumbee River Productions is proud to support communities in need and is committed to reaching out to individuals who share our passion for change. Our grant support team takes on the responsibility of keeping the sustainability alive for so many individuals looking for an opportunity in life. By submitting grants for our non-profit company, we are able to offer chances for success for youth, minorities and women across the United States who otherwise, might not have the opportunity to achieve their dreams. 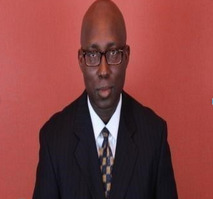 Dr. John A. Igein holds a PhD, ABD in Educational Psychology and Masters in General Psychology from Walden University, Minneapolis, MN, and Bachelor’s degree in Biology with a Minor in Chemistry from Southern University in New Orleans. Igein is a published author of a bestselling book on Amazon.com, Code 419: House Arrest. He is also a writer of several unoptioned screenplays and producer of a reality show called Curvz-N-Slimz of Atlanta, #CSA, currently being shopped with several TV networks. He is the production manager of Red Oak, a pilot, also being shopped with several TV networks. He is a producer of Legal Retribution, a short drama film written by WillieMae Hunter-Adetunji (See youtube). Currently, Igein is giving back his creative knowledge to the public by teaching acting classes at the South Cobb Recreational Center every Thursday, except holidays. Igein is capable of creating instructional and educational materials for all segment of our learning population.